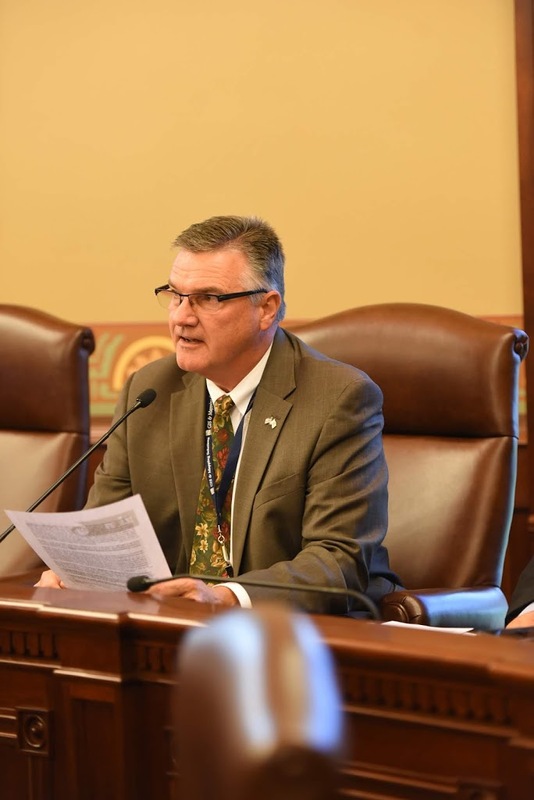 State Representative Randy Frese has been tapped to lead debate for the House Republicans on issues concerning Illinois veterans, including the water system upgrades and renovations in progress at the Illinois Veterans Home in Quincy. For the 101st General Assembly, Representative Frese (R-Paloma) will serve as Republican Spokesman on the House Veterans Affairs Committee. For this spring and next, Representative Frese also secured a coveted position on the House Agriculture and Conservation Committee and the House Appropriations-Human Services Committee that gets a first review of bills concerning a wide range of social services and other family and community needs. He said he is also looking forward to serving on the House Child Care Accessibility and Early Childhood Education Committee, the House Labor and Commerce Committee, and the House Health Care Licenses Committee. “These are critical issues for our local families… better job opportunities, support for our farmers and livestock producers, and a good start for our children. I’m looking forward to getting to work in committees this week to make sure the needs and priorities of our communities have a strong voice in the House,” Rep. Frese said.